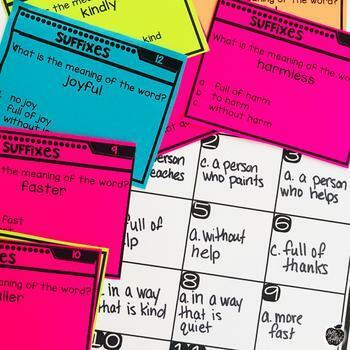 Teach students to use suffixes as a clue to the meaning of a word with this engaging hands-on resource. 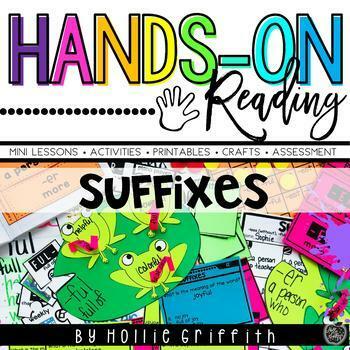 This bundle includes 5 days of mini lessons, an anchor chart, puzzles, partner games, interactive notebook page, task cards, craft, and a quick assessment. 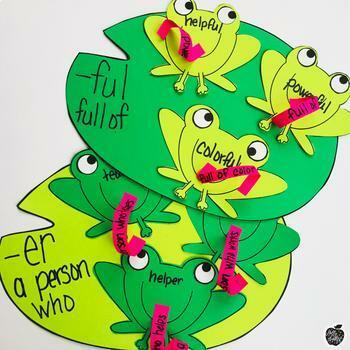 This is a complete hands-on mini unit that will add fun and excitement to your classroom. 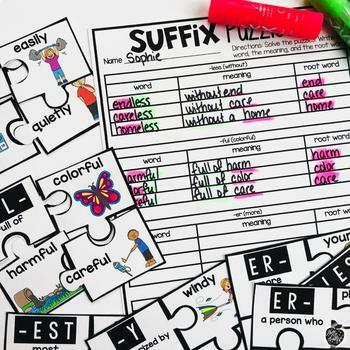 Day 1 Plans – *Use affixes as a clue to the meaning of a word. Day 2 Plans – *Use affixes as a clue to the meaning of a word. Day 3 Plans – *Use affixes as a clue to the meaning of a word. Day 4 Plans – *Use affixes as a clue to the meaning of a word. Day 5 Plans – *Use affixes as a clue to the meaning of a word.